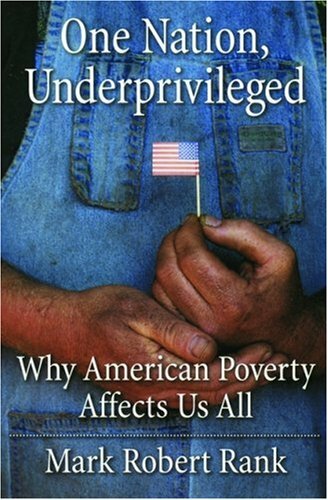 One Nation, Underprivileged: Why American Poverty Affects Us All by Mark Robert Rank. Recommended by Shantha Ready Alonso, NCC Advocacy and Outreach Specialist. I was lucky enough to study social work at Washington University in St. Louis, where Professor Rank teaches. Consistent with his lectures and articles, this book is sure to enlighten and surprise. This engaging and well-researched book provides surprising information about who is living in poverty when, and why. Rank engages questions about why the United States has the highest poverty rate among all industrialized countries. Based on his longitudinal research, Rank makes a case for why poverty in the United States is less about individual failure than flawed economic and public policies. He also offers innovative evidence-based strategies for lifting more families out of poverty.